The numbering of Pinkney's Lane seems to have changed. 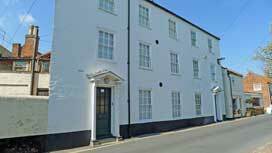 This pair of three-storey houses was previously one unit and was numbered 9. Today, No 9 is allocated to the adjent shop on the right. In the 1890s the building was rented by Arthur Flowers who ran a woodcarving class to provide interest and employment for fishermen during the winter months. 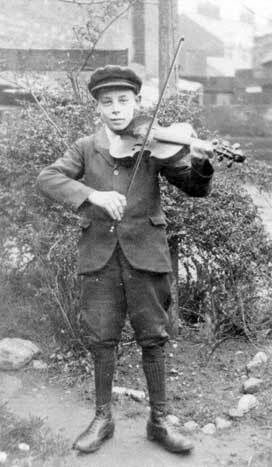 The instructor was Mr Voisey, a silver medallist of the Home Arts & Industries Association. This successful venture had started in smaller premises in Trinity Street (number not known) and would move to its own, purpose-built premises at No 1 Park Lane in 1894. 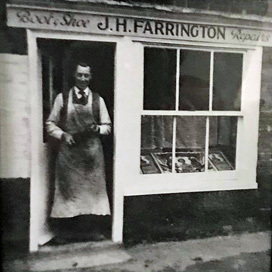 Jack Farrington - Boot and shoe repairs. Jack has moved his business from Walberswick to occupy a small corner of the left hand part of the building.. 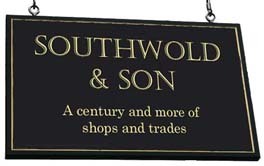 He is the son of John Farrington who ran a similar business at No 31 Station Road and No 12 East Street. Jack Farrington - Boot and shoe repairs. 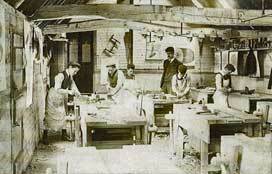 This photo is believed to show apprentices at work in Arthur Flowers' woodcarving class. before the move to Park Lane in 1894. However, it is dated 1901 in the Museum archive so more information would be welcomed. Photo courtesy of Wendy Farrington, Jack's granddaughter. The Miami Dance Band at Thorpeness Country Club in 1955. 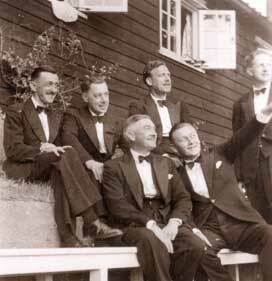 Jack Farrington is second from the left.